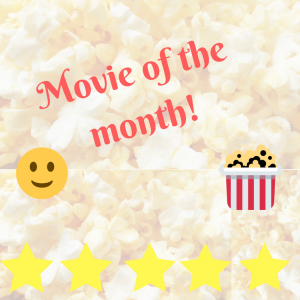 Welcome to my monthly movie feature! I am a big movie fan and I have a monthly cinema card. 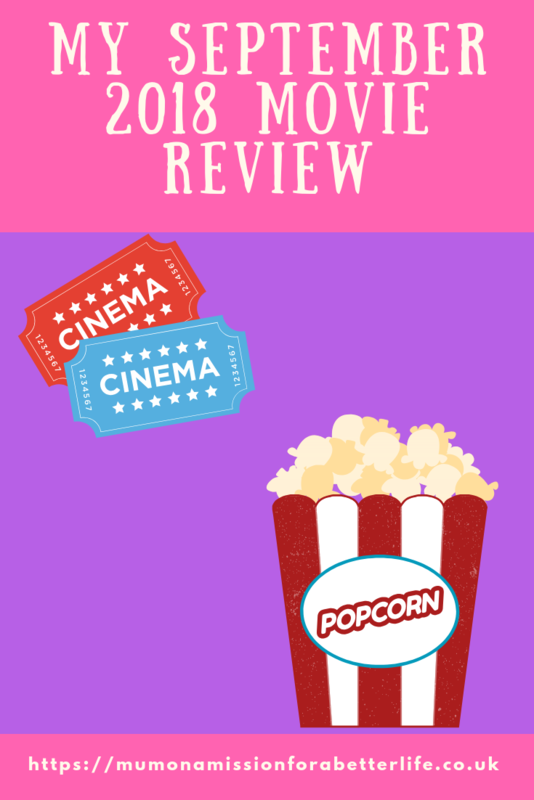 This means I can visit my local cinema as many times a month as time will allow, so I thought that I would give my thoughts on the films which I have watched each month. However, this is just my opinion so please don’t send me angry messages if you watch a movie which I have recommended and you did not actually like it! The story centres around high court judge Fiona Maye, played by Emma Thompson. A case concerning medical treatment which could make the difference between a seventeen-year-old boy living or dying comes at a time that Fiona has difficulties in her marriage. Using the law in terms of the Children Act 1989, Fiona has difficult decisions to make which come with unforeseen complexities. This was a very emotional watch for me and at the end, I was in floods of tears! It really makes you think about how easy it can be to cross professional boundaries even when you are trying to do the right thing and the implications which that can bring. Mila Kunis and Kate McKinnon star as two friends who unexpectedly find themselves being chased by assassins around Europe. An action comedy which was enjoyable but had a few gory moments which I was not expecting. The meg is a 75-foot long prehistoric shark known as a megalodon. The film is set around a team of scientists exploring the Pacific who unexpectedly discover that the meg is not actually extinct after all! There are some brilliant scenes in this that remind me of the famous ‘Jaws’ scenes, but the special effects have somewhat moved on since then, so this all looked amazingly realistic. A great storyline which keeps you hooked until the end, I would definitely recommend this film as it was a great watch which we thoroughly enjoyed. This very nearly got awarded my movie of the month badge, it was a very close second. I was not sure about this movie when I first saw the trailers for it. However, as it starred the fabulous Melissa McCarthy I decided to give it a go and I’m actually really glad that I did. The film is set in LA at a time where puppets and humans coexist together. Once you get your head around the idea of puppets living their own real lives in the real world, this was actually a very funny movie. It is pretty rude with sexual references and bad language, but if you take it as it is, a light-hearted adult comedy then you will enjoy it. I laughed a lot and thought that Melissa McCarthy did a fantastic job. This film was recommended to me by a friend as originally I was going to give it a miss but after a great recommendation I changed my mind and took FJ along with me. Therefore, this was released mid-August, but I didn’t watch it until September. I am glad that I changed my mind as it was a nice film which FJ really enjoyed. The film stars Ewan McGregor as Christopher Robin and Hayley Atwell as his wife Evelyn. Christopher Robin grows up and forgets about his time spent in 100-acre wood. He is busy with work and married with a child of his own. Meanwhile, Winnie the Pooh needs his friend so he decides to go out into the real world and find him. This film stars Blake Lively and Anna Kendrick and is a great movie with a dark twist. It centres around a mummy vlogger, Stephanie, who makes friends with a mysterious and sophisticated mother of her sons best friend called Emily. The plot centres around Emily’s disappearance and how Stephanie copes with this. This is definitely one to watch. Starring Kevin Hart and Tiffany Haddish, this is a comedy about a high school drop out returning to night school to complete his GED so that he can get a new job. I love Kevin Hart, he is one of my favourite comedic actors and this was a brilliant film. I was laughing out loud for most of the film and I quickly found myself invested in the main character which I think is key to a great film.